Whether it's selling your company's product in the boardroom or selling yourself on eating healthy, everything in life can and should be treated as a sale. And as sales expert Grant Cardone explains, knowing the principles of selling is a prerequisite for success of any kind. 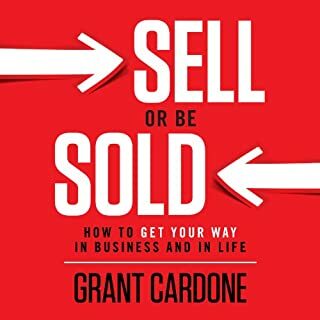 In Sell or Be Sold, Cardone breaks down the techniques and approaches necessary to master the art of selling in any avenue. His delivery is great, but the content not new. More of the same but he is also selling his other products and even Scientology ideology through this book. Probably the last one I buy from Mr. Cardone. 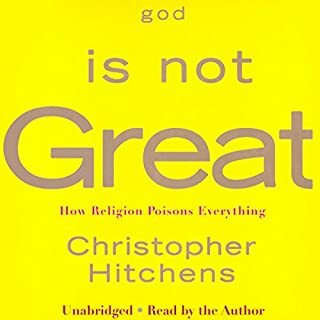 In the tradition of Bertrand Russell's Why I Am Not a Christian and Sam Harris' recent best-seller, The End of Faith, Christopher Hitchens makes the ultimate case against religion. With a close and erudite reading of the major religious texts, he documents the ways in which religion is a man-made wish, a cause of dangerous sexual repression, and a distortion of our origins in the cosmos. Expertly composed and narrated by Christopher Hitchens. I am so happy that this man left some of his wisdom behind through his work. After a stint policing the rough streets of Kansas City, Missouri, Chris Voss joined the FBI, where his career as a hostage negotiator brought him face-to-face with a range of criminals, including bank robbers and terrorists. Reaching the pinnacle of his profession, he became the FBI's lead international kidnapping negotiator. 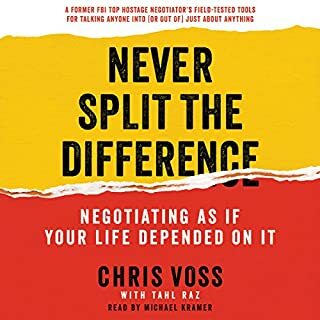 Never Split the Difference takes you inside the world of high-stakes negotiations and into Voss' head. I had a couple of successful negotiations as I was reading this book and trying to apply the lessons. I am inherently a wimp win kinda guy and it feels good to actually negotiate and win instead of wimping out.